Sonia and her cousins will remember those nights for a long time. They would wander out in the illuminated street two blocks down from their apartment, meet a few more friends and cousins, and laze around the pavement lit up from the floodlights of the Shere Bangla National Stadium. Amid all the security barricades and protocol, there was gossiping, eating, singing and star-spotting. Sonia is a resident of Mirpur-6, a neighbourhood to the west of the Shere Bangla Stadium. Their alley leads up to the main entrance. The Milk Vita Road, as it is known locally, was barricaded from the moment the teams arrived at the venue. However, despite all its trappings, the World T20 has been a refreshing change for residents in the vicinity of the stadium. Just after the sun goes down, the neighborhood comes alive. Kids play cricket with a taped-tennis ball, the chotpoti-wallah and the jhalmuri-wallah (street-food vendors) sneak in. Some are flying kites while others merely sit and talk, taking in the atmosphere. During match days, when the team buses moved in and out of the stadium, they would sometimes spot the stars. A crowd favourite is, of course, Shakib Al Hasan, while Mashrafe Mortaza and Mominul Haque, both Mirpur residents, are also not too far behind. Watching their stars has brought residents relief from the short shrift they get in the daily grind: lack of electricity, water and gas. Shakib, Mominul and Mashrafe don't bring them utilities but seeing the Bangladesh players has given them a reason to believe and hope. Life isn't easy for Dhakaites in any part of the city, but with so much cricket happening in the area, the focus has naturally shifted to the plight of locals. The economic level here is middle-class, which means they hardly get what is required; they have to manage within their means, and manage well. Within Mirpur, west of the No 10 intersection right up to Mirpur-2 and several areas within Mirpur-6, a 3-km radius was locked up for security. It was a major nuisance for residents of the area, but security was the ticket that allowed Bangladesh to host the World T20. It was not until January 20 that the ICC confirmed the tournament's hosting rights would remain in Bangladesh, after political violence almost derailed the country's biggest sporting event. Between November and mid-January, a week after the January 5 national elections, the situation had deteriorated so much that even those closely associated with the tournament privately expressed doubt. The girls sitting outside the street close to the Mirpur stadium, during one of the World T20 games, recalled an incident from December when a bus was burnt down near their house. Tuhin, one of Sonia's cousins, was trapped when police started chasing protesters in Taltola. He escaped by climbing up a tree for a few minutes, and then scaling the wall of a nearby office. The protestors, meanwhile, hit back with bricks and stones, fanning a level of panic that added to the turmoil. But, with a major global event coming up so close, it was imperative for both sides of the national spectrum to come to some sort of agreement. Whether cricket is solely responsible for momentarily stopping political trouble is debatable, but it has played a major part. The BCB had gone to both leading political leaders before an ICC meeting in January, and that assurance probably won the day for Bangladesh. The event has been a time of celebration for the ordinary people. For them, attending the matches was not a necessity, but the pride over playing hosts is a shared, cherished feeling. Cricket's popularity in Bangladesh has been described and discussed a number of times, but to feel the intensity of it, one had to experience it at the time of the tournament. There were road shows in all districts and screens were put up at intersections, parks and meeting areas. The good folks of Sylhet welcomed world cricket with open arms and filled their beloved stadium every day of the competition. 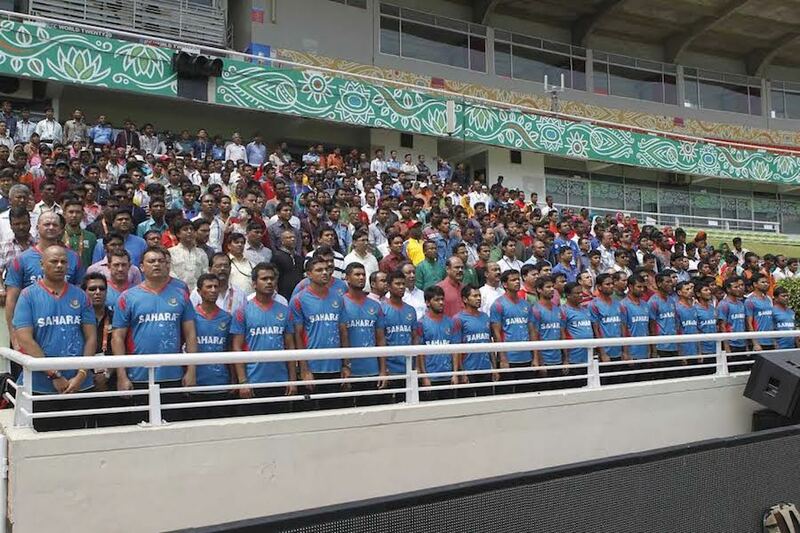 Chittagong dwellers, too, reveled in the spirit, despite the continuous traffic problems due to the teams moving from their hotels in the city to the Zahur Ahmed Chowdhury Stadium on the outskirts. The material legacy may just be a refurbished stadium in the northeast but the event has turned cricket from being merely a sport to something woven more deeply into the public consciousness. Conversations across the country were dominated by Darren Sammy's West Indies, the Netherlands and the abject failure of the home side. Their performance was a contrast to what the public saw in the last two years. Bangladesh played well in 2012 and had a poor series against Zimbabwe last year. Off the field, however, there have been far too many controversies. Mohammad Ashraful's admission of involvement in match-fixing has been the biggest of these issues. The tribunal investigating the matter recently reached a verdict and while most of the nine accused went scot-free, the Bangladesh Premier League brand suffered irreversible damage. The BCB now has to find a new T20 tournament. 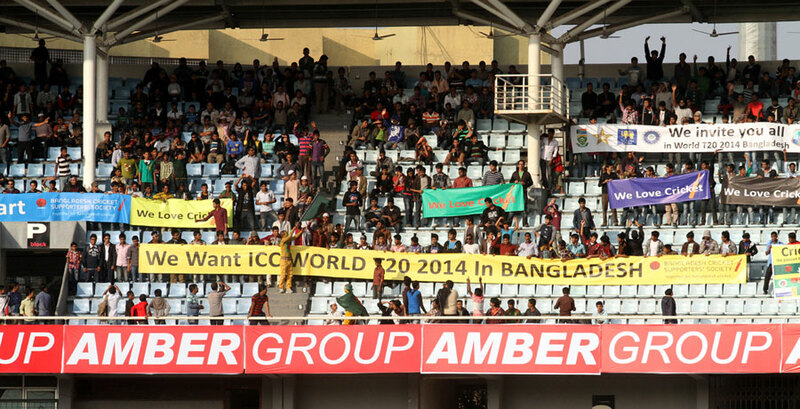 As the World T20 finishes with fanfare, Bangladesh has shown the ability to host a global tournament on its own. There has been whole-hearted praise from all quarters, and the sports minister recently informed parliament that the government has spent close to Tk 10 crore to ensure every aspect of the competition moved smoothly. From April 7, life will go back to what it was. There will be no extra security and no traffic jams to add to the busy roads, but given how violent Bangladesh can get (and could probably return to those bleak days), people may also miss this brief peace of mind the tournament brought. The material legacy may just be a refurbished stadium in the northeast but the event has turned cricket from being merely a sport to something woven more deeply into the public consciousness. As for Sonia and the gang, the relief from political violence and the daily trouble of dodging it is over. The fun of simply sitting in front of a giant stadium, talking to best friends and cousins, will now be just a memory. There haven't been many in their lifetimes, so this may be the sweetest yet.